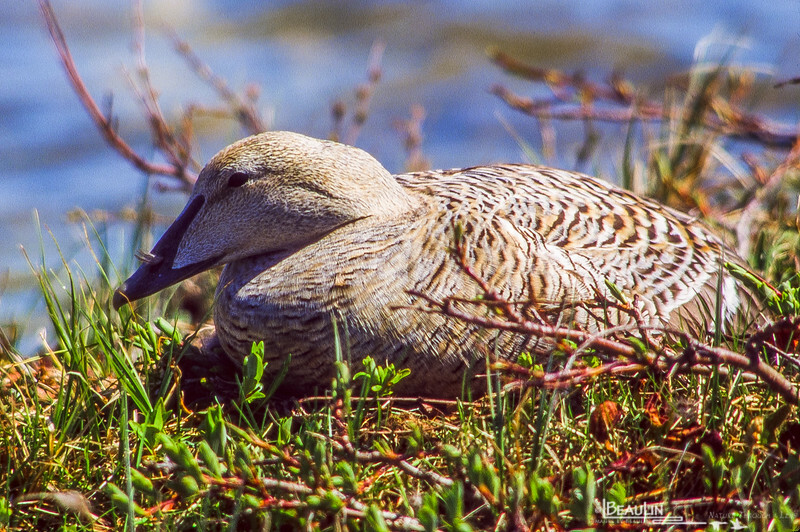 Incubating common eider hen, Cape Churchill, Manitoba. After more than a week into incubation, hens of most waterfowl species will sit extremely tight to their nest and overall nest attendance usually exceeds 95%. This image will be published in the revised edition of Ducks, Geese and Swans of North America, authored by Dr. Guy Baldassare.